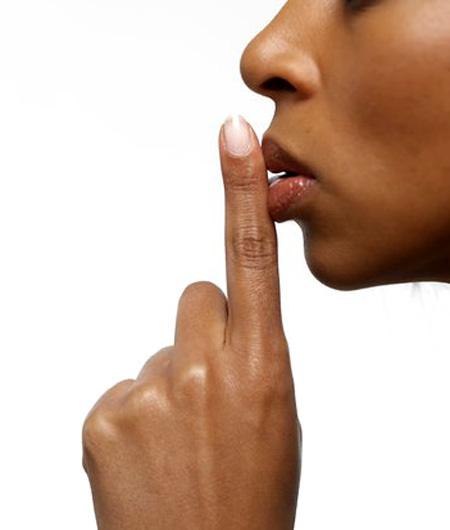 Why did Jesus tell the disciples not to tell anyone about him? This hard-to-understand aspect of Jesus’ ministry is often called the “messianic secret.” I.e., Jesus wanted his messiah-ness kept secret (at times). As the Handbook on Biblical Criticism (4th ed.) puts it, the “Messianic Secret refers to a discernible phenomenon in the Gospels, most especially in the Gospel of Mark, in which Jesus explicitly conceals his messianic character and power until the closing period of his ministry” (124). The messianic secret is not an attempt on the part of Jesus to keep people from knowing, believing in, and following him. But Jesus did seem to be careful throughout the Gospel of Mark to keep his identity as divine Son of God/Messiah from spreading. There are at least two reasons for this that I can see. First, though Jesus is identified early in the Gospels as a miraculous healer and exorcist, early in his ministry is not yet time for his identity to be revealed. The fullness of time has simply not come. Perhaps Jesus had certain ministry objectives that needed to be accomplished before his crucifixion? He knew, either way, that as his fame spread, he would be tried and crucified for it. But this could only happen in due time. Second, Jesus may have been cautious that a misunderstanding of the title “Messiah” would result if people were to say things like, “Here is the Messiah!” He was not the military insurrectionist and ruler than many Jews were expecting (I wrote more about this here), and he wanted to prevent title confusion, I suspect. So he often warned the evil spirits and those who received healing (and, as above, even the disciples!) not to tell anyone about him. Even with those explanations in view, I still find the “messianic secret” difficult to understand. But perhaps this is because I am like Peter, in Mark 8:33, who all too often has in mind the things “of humanity” rather than “of God.” The messianic secret remains, at least to me, something of a mystery. I think that Jesus understands human nature, and knew the best way to spread a secret is to ask someone to keep it. I think there is evidence for both of your reasons. I’m not sure it’s necessary to pick one or the other. I do think there is evidence regarding the 1st reason that Jesus was waiting to fully teach the 12 disciples before revealing himself so that they could carry on his teachings after his death (and resurrection). Nice post. Thanks for sharing. You’re welcome! Thanks for your comment. Another thought is to link to the text after feeding the multitude – john 6:15. There is, like you said, an element of ‘incomplete business’. And if he were to proclaim himself openly, the kingdom would have been put off track by those that would have perceived Jesus kingdom as a worldly one and acted upon that…..
What is perplexing is why Jesus is so secretive in the gospel of Mark, but so open in the gospel of John. In Mark, consistently orders the disciples/demons/healed people not to reveal his identity. Many of his miracles he performs off in a corner. However, in John he is always bold about his identity and his mission, clearly presenting his pre-existence, his special relationship to the Father, and flirts with revealing his godhood to the point of nearly causing the crowds to stone him. These two images (Mark and John) are almost incompatible. An angle I had not considered when I first posted. Great point–it makes the whole thing more fascinating/befuddling! What talindrome3 is talking about is explained in Pete Enns’s thesis coming back in all his books; “what was the message the writers of the bible wanted to make clear and to which audience?” We have to place ourselves in the skin of those authors. Their time, their context, their reason why they (and here it comes>) ‘constructed’ their message in the way they did it. The gospel writers included, formed and left out the right information in order to present their message concerning the good news of Jesus. So the incompatibility of the gospels are in fact no errors… but they are formed by the evangelists specifically for their audience and what the hearers of their gospel needed to understand. John’s intend is summarized in John 20:31 “But these (“signs”) were written that you may (keep on) believe that Jesus is the Christ, the Son of God.” John’s gospel is all about proving Jesus’ divinity! Thus, including the messianic secret would totally not support the very message John is trying to get across. I was giving a reason for this to my Sunday School students yesterday. We were studying Matthew 12. The reason that I gave them for Jesus not wanting His messianic identity to be revealed at that time- was that “Jesus was being merciful”! That Jesus was not wanting to “break off the battered reeds”. Not wanting to “put out the smoldering wicks”. That He was not wanting to quarrel with those Pharisees (v.14) “UNTIL HE LEADS JUSTICE TO VICTORY” (v.20). Not give the Pharisees a sign (v.38) until the greatest sign of Jonah was given (v.39). A sign they could not contend with. Thanks for your comment, Ron–it really does seem like timing (as you mention) has a lot to do with it. 1.He did not want conflicts with the pharisees & sadducees. 2. He wanted people to believe in Him by Faith. 3. He wanted to accomplish his work before being killed since the pharisees could be up in arms accusing him of blasphemy & making his work impossible as there could be a revolt against him. Amen. Hi, Richard, thanks for the comments! I have asked this question numerous times. Today god answered it for me. If you tell a person some thing secret they will ultimately tell their inner circle. However if you tell them not to tell anyone it triggers something in the human psyche that makes us tell even more people. True story Christ was indeed the son of the most high. He knows our thoughts even before we think them……. It’s hard to know where to begin in response to your comment, which I see is also its own stand-alone blog post on another blog. More criteria need to be delineated than “good ol’ common sense” (whatever that means). As you’ll notice by my deep appreciation for books by Jewish Publication Society (inter alia) on this blog, I have great respect for Jewish scholarship, which has benefited be immensely. I don’t accept, though, the bifurcation of Jewish scholarship and Christian scholarship, since the latter can and does build on and root itself in the former, so you’re kind of setting up a straw person when you compare Dallas to Jerusalem. I think the gospel of Mark tends to focus on the political climate at the time and puts Jesus in this context thus Mark emphasised that he told the disciples not to say anything about Him.However John, as Jesus’ friend, tends to focus more on the human side of Jesus and the mercy shown to all those who suffer! Thanks for your comment, Caroline–it is interesting to follow the different emphases each of the Gospel writers has. He alone is trust worthy – we are not. Without the SAVING work of CHRIST ALONE – a person is to be pitied. So much of who, what Christ was and did is Supernatural. To deny that is to deny Christ. To be in a state of condemnation and without hope. Everything else matters not. Eat drink and be merry for tomorrow we die. then what? We need to study the originals and get what truly is being said. We have so many good/bad translations – its no wonder people are confused. Maybe we cant even trust Abram? We can’t really trust even ourselves. We need to be Bereans and study – to go with the LXX OT GNT studies. By reading Abrams site – Is he leading us astray? Just another sap? and true to scripture. Using good translations or more so GNT/LXX etc. Then! lets go with men/women that are true to the WORD in the NT/OT fields. Dan Wallace for greek – Benjamin Sax for Jewish studies – endless list. and who are they ?? share your info so we can see if they are right or wrong. Blanket statements don’t serve a purpose. For all we know I might be reading it and need to stop and warn others. (My Brother) is in a CULT because he decided this cult was right, anything else is wrong. Lets also remember how Gods people in the OT stood the test of time. From the get go! What did they do when they received Gods 10 commandments or recommendations? They didn’t take long to go their own way – right up to today. US included – but they more so. HIS people – all thru the OT we see how it all went – Abraham, Moses! Aaron, David, Solomon etc etc. Badly – are we any better. 2000 yrs of what the Jews have been and done shows what kind of faith they really had. The OT surely shows what happened. How many laws were added to God’s Word by the Pharisees. False teaching etc. Did they do and teach what was right and good for the people? Jesus certainly went after them with both barrels – they never got it. IT IS a serious matter to say there are NO Christophanies in the OT. Now days even Christians deny Hell, eternal punishment. Trinity etc. SO there are good, bad teachings everywhere. There are plenty of Scholars out there that are serious about God’s Word. There are bad ones as well that decide what their deal is and poo poo everyone else. Going with Dispensationalists is trouble in many ways – OT, NT/cf: Sermon on the Mount! Or should we go with the likes of Spawn/Hawkings/Rob Bell/ etc. Look at the following he gets and he is totally off base. Should we follow him? No!! Baptists are going into Mormonism big time. Believing a LIE! why? I really don’t care what someone believes – what I care about is what Gods Word says and does one believe that and follow it ? God’s Word or the highway – choose you this day who you will serve. Self or Christ. Don’t do it and you will die. Salvation by the Law. Who can? The Bible is about Christ from beginning to end. So to think that 2000 years of Jewish scholars, sages and teaching is the only right way to go; is, by what we see in scripture, what still goes on in Jewish culture up to today; is to be misled. Jewish or Xtian we just never get it or learn now or from history. and WHO its all about. Jesus came to earth ( became incarnate) for the sole purpose to die. This is his wonderful gift of grace. Without Him paying the price for our sins noone would enter the Kingdom. The spreading of the Word to the people was left for the apostles as their Great Commission after they received the Holy spirit. Thanks for your comment–I think Jesus himself was eager to start in on that work (the spreading of his Kingdom), too, though–not just leaving it to the apostles for after his death and resurrection. Though that certainly is our task now. Not necessarily sinning, it depends on what was in their heart and the reasons why they didn’t follow Jesus. What’s interesting to me is the Christian take in this is from a Christian perspective: if a professed Christian starts to lead a non-Christian life and then eventually denies Christ, that is a sin. That logic helps prevent people from sinning (fear of reprisal, exclusion from the group) However if it was a non-Christian in that role(Jews most infamously) , they also get thrown into that group (sinners) from the perspective and logic of Christians. This logic made excuses for all sorts of atrocities, culminating in the Holocaust. The Jews at the time had lots of reasons for not following Jesus, and still they lead good and holy lives. Were they thrown into the firey depths after death? Insomuch as God is merciful and likely wouldn’t do that, many Christians would say so, since if that’s how Christians justified their faith and boosted their superiority to other groups over the centuries. St. Paul really struggled with underdtanding bwhy his felllow Jews didn’t follow Jesus. Remember, for Jews tradition is very important, and Christianity was doing away with all of that. For many, it was just too much to ask from them to give all that up. Were they sinning? Thank you that helps clarify it! I happen to be Catholic, and the Gospel this week was the oft quoted “upon this rock I will build my church,” which I really love for some reason, and ending with the “tell no one” admonishment. I seem to remember Jesus occasionally referring to a plan for his life, and the explanation of just too early seems to fit. Think of Joseph in Genesis who concealed himself to his brothers at first, then later revealed who he really was. That’s an interesting parallel! Hadn’t considered it. I would add that it’s crucial, especially in John’s Gospel, that people come to their own understanding of Jesus; that they don’t believe because they are told, or convinced by what they see; rather, they believe because of the ministry of the Holy Spirit revealing in their heart/mind that Jesus is the Messiah. I think thisnis one of the things we’ll just never know but when I read it I thought he tried to keep it a secret because if he said he was the son of God than people would make judgments simply based on his title. If I saw a man do miracles and say he was the son of God I may believe him. I don’t think Jesus wanted that. I don’t think he wanted people to believe it simply based of a title or by healing someone. I think he wanted people to first listen to him as just another man and to follow him for his beliefs and words rather than for a title. It’s kind of like you want people to like you for who you are and have faith in you because of what you say and do rather than because of your title. Not sure if this makes sense but it’s just how I understood it. Thanks for your honesty about the mystery continuing to be a mystery, I sometimes feel my heart hardening at some of the seemingly inhumane heartless comments Jesus says, I look earnestly for the love yet cannot fathom Mark 7 vs 24. You’re welcome, and thanks for sharing.